I often get asked what this ketogenic diet has done for me. What benefits have I had? Why should somebody give up those delicious carbs and starchy foods? Are the benefits really worth the sacrifice? At the beginning of February 2017 I started my transition to the ketogenic way of life. It happened all at once after reading just a part of Dr Sarah Myhilll’s latest book ‘Diagnosis and Treatment of Chronic Fatigue Syndrome and Myalgic Encephalitis‘. Dr Myhill specialises in treating patients with ME/CFS and is well loved and trusted among the CFS community. I decided to take a leap of faith, not really knowing the scientific ins and outs of this way of life, but trusting that she knew what she was talking about. The best part is that Dr M doesn’t ask you to do anything she doesn’t do herself. So to trust a doctor with years of experience studying and treating patients with this chronic illness, who also puts into practice what she preaches, wasn’t really that much of a leap! I have since also bought her latest book ‘The PK Cookbook: go paleo-keto and get the best of both worlds‘. You can read my thoughts on this book here. Some people choose to slowly lower their carb intake before going fully ketogenic, but I jumped into this new, very low carb, high fat way of life immediately. From a non-keto breakfast my mum went straight into keto for lunch and we didn’t look back (my family cooks for me as I’m not strong enough to cook yet). I stuck with it for 2 months before I decided to stop due to an allergic reaction to an unknown allergen. When I switched to keto I started eating things I didn’t usually eat, so it was bound to be something I had eaten causing the terrible itching all over my body. Turns out my body probably has trouble eliminating histamine and some foods contain higher histamine levels than others. I simply had to modify my personal food list and was prescribed antihistamines to help eliminate the crazy itching. I took 3 weeks off the Ketogenic diet to figure things out and plan what my shopping list and meal plans would look like on a low histamine diet and then hopped back into Keto in May. During those three weeks, I went back to eating the average high carb diet most people eat and boy did I pay for it! My eczema came back within days, as did my joint pains and over the weeks my general pain increased to horrible levels. I had to start taking Naproxen again after being medication free for months. Apart from the pain, I also felt generally weaker and less energetic. Less clarity of mind with an increase in the dreaded brain fog. My heart palpitations returned and so did the insatiable munchies! When I eat carbs, my body just doesn’t register when I’m full and I keep feeling hungry. This is probably how I managed to eat so much all my life and become so overweight. It seems it was simply a chemical reaction that made my body malfunction and think it was always hungry. I’m sure there is actually a scientific explanation and name for it, but that’s the basics of what was happening. To my body, carbs are like kryptonite. My ME/CFS is quite severe, I’ve been housebound and mostly bedridden since April 2015. I had had short periods of improvement in the first year and again in the beginning of 2016, but they only ever lasted a few days to a week or maybe two. Then the decline would come again and I’d spend weeks or months in bed. The steady decline started around June 2016 after a lovely period of improvement and a few outings. It reached the point where I was only able to shower, seated, once a week and I’d pay for those showers for days. My sister had become my full time carer, taking care of house and food and me whenever I crashed so low that I couldn’t even pull up my trousers or move my own limbs in bed. It was scary at times. 2017 has been spent mostly in my bed. I’d stopped doing art and crochet, I read less, I did less. Most of my time was spent reclined or lying down in my bed watching Netflix or scrolling through images on Instagram. Living through the camera lenses of other people. Recovering from my last shower or visitor or simply digesting my last meal… everything was just exhausting. As the months passed the excitement and fear grew as we were planning to move to a new home. I am always excited to move to a new house, I’ve always loved that, but this time would be very different. This time I was ill and would not be able to face even the presence of other people packing my things – I certainly was not able to pack them myself! My amazing parents volunteered to do all the packing and cleaning and managed to secure the new house for us, in advance, so that I could escape the commotion in my old flat and my sister travelled with me to the new home. This was mid-May 2017, just a few weeks ago. During my last week at the old flat I had visitors, I had a shower (anticipating huge payback from a full day of travel and not knowing when I might be fit enough to wash again), and then the taxi and train journey to the new place. So much exertion for somebody who had been bedridden for months! The amazing thing is that the expected flare never came! It took an entire day of travelling to get to the new area. On top of all the other activity I’d had that week, I expected some sort of payback, at the very least a few days in bed, completely out of it physically and in a lot of pain, but none of that happened! I had been out of my house just a week earlier for a doctor’s appointment, and that was only 20 minutes away – that gave me terrible payback just like every other outing before, but not this time. The only difference was that this time my body was not only in ketosis, but it had finally fat adapted. I had already restarted the ketogenic diet about 2 weeks before the move, at the start of May. Within 3 days my eczema was almost gone and my joint pains vanished soon after that. As the weeks passed, all the keto benefits reappeared. I was surprised it happened so quickly since the first time I started the keto diet, it took over a month for any benefits to appear at all, and they were not as pronounced. What benefits have I had from being fat adapted? The heaviness in my limbs that I used to wake up with has reduced noticeably, making it easier to move first thing in the morning. Used to take hours to wake my body up in the mornings, felt like I was paralysed at times. No more heart palpitations and breathlessness from simply brushing my teeth. I have been able to bath every third day rather than only once a week! My hunger is under control. I eat only twice a day now and am fully satisfied. Weight stable. I have periods of great mental clarity, the fog is no longer constant. Such a relief! My joint pains vanished within days of reaching ketosis. My general pain has decreased considerably. Still increases upon exertion, but less severe. I’m no longer bedridden! I have been spending my days in the living room rather than spending 24/7 in my bed. I walk around my new flat during the day, still resting a lot. Since 1 June 2017 I have managed 1000 steps a day almost every day. At the start of May I was struggling to make it 7 steps across my room to the toilet and back. This is such an accomplishment! I am so pleased to be able to move more. I have been able to occasionally help my sister prepare a dish in the kitchen or seated at the dining room table where I now enjoy all my meals, rather than eating alone in bed. I can spend weekends with my family when they come to visit, I no longer have to stay isolated in my room. I do sometimes still wear my noise cancelling headphones, but this is also a huge improvement for me! I’ve been able to start drawing and lettering again, my arms are less heavy and shaky. These are all the benefits I have noticed after becoming fat adapted in my second week of ketosis. I believe it happened so quickly because I had already been in ketosis just a few weeks prior, so the switch happened faster than it would have if I’d not been in ketosis prior to starting in May. You can see why I highly recommend the ketogenic way of eating. I praise God that I found Dr Myhill’s book and decided to give it a good go. I had decided right from the start that if I did this, it would be for at least 6 months. You cannot play with dietary changes, you have to commit and give it your all, else you cannot be sure the results you’re getting are legitimate. Although I started in February, this is only my fourth month eating ketogenically. I hope these benefits will continue as time goes by. I will stay on this way of eating for life even if this is the best I will get. There’s no way I’m going back to carbs after seeing the dramatic side-effects I had. If you suffer from chronic illness; pain, inflammation, brain fog, fatigue, etc – I hope you will at least consider the ketogenic way of eating as a means to manage your symptoms, but also to help heal your body. This diet is healing, anti-inflammatory and so satisfying. It’s absolutely worth a shot! I’m sorry you also have to deal with this debilitating illness, but there is hope for recovery and many ways to manage symptoms and improve quality of life. I’m glad you’ve found my blog and I hope that you will find some useful tips and information here. Feel free to ask any questions, there is a contact form for private messaging too. I am taking supplements which I will write more about soon, but the main ones I’ve found beneficial are MSM for pain management, Omega 3 for joints and B complex for energy. I feel it when any of these supplements run out. I highly recommend Dr. Myhill’s book (link in the sidebar) as it will outline the diet and supplement protocols in detail. There are many more supplements she recommends, but I cannot currently afford them all, so I’m doing the best I can for now and am very happy with the result so far. I am also taking vitamin D3 (just started a week ago) and Magnesium citrate currently as well as electrolytes and celtic salt sublingually a couple of times a day. The salt actually helps with energy levels and hydration/absorption. Hey there! Firstly, I’d like to say well done for getting to where you are now, it’s an incredible achievement – I know how even 50 steps a day can feel amazing so well done on getting to 1000. Also, I love your positive tone, something I have found to be very lacking in other stuff I’ve read online. Sorry for this very late reply, I see I somehow missed your comment. I’m glad you have found Dr M’s book and are going to try Keto. I did start on the sample menu plan in the book, but soon found that I was unable to eat so much. I ended up halving the portions! Digestion was just too exhausting, I couldn’t handle so much food all at once. After about a week of eating from that plan, I drew up a list of variations that my mum could choose from for each meal. I have shared the list on my blog – here. In May when I restarted keto, I also started planning my meals in the MyFitnessPal app. I had calculated what my ideal macro-nutrient ratios were and used the app to make sure each day’s meals would provide the correct amount of fat and protein as well as keep my carb levels below 20g a day which is the easiest way to ensure fat-adaptation. This might have aided my quicker results the second time round. I talk about the macro calculations in another post – here. Also, my initial 2 months were paleo-ketogenic, so dairy free, but when I restarted in May, I added back just a few dairy products to help meet my fat and protein goals due to my allergic reaction forcing me to eliminate a few fat and protein sources from my diet. I am currently considering reducing the amount of dairy I consume, I might just have it as an occasional treat, like if there’s a special recipe I’d love to try, etc. I hope this answers your question. Please let me know how you get on! So nice to read how well you’ve been doing! What a great thing to read! 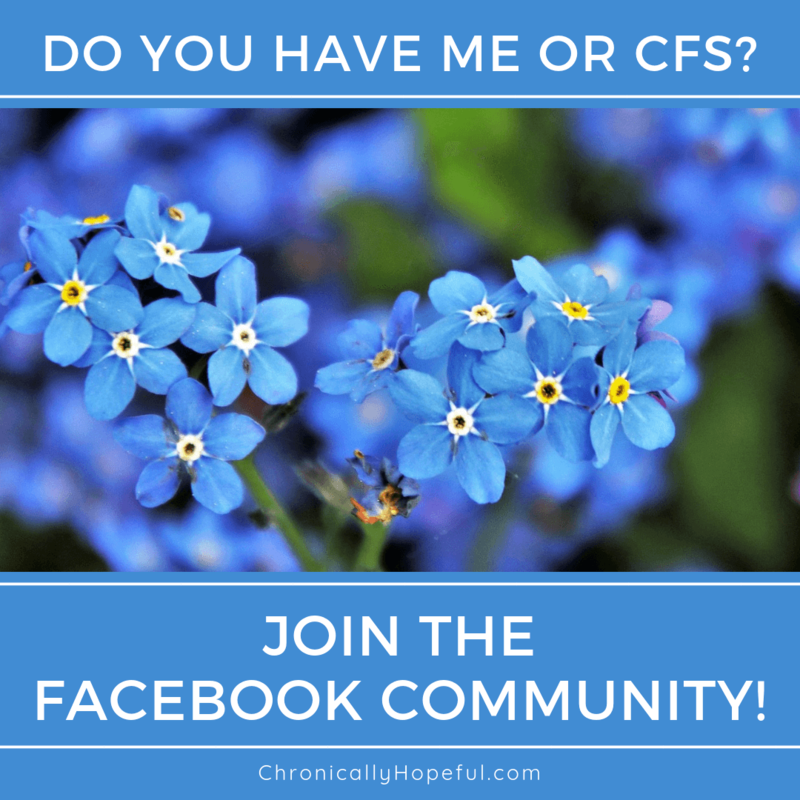 I also have CFS but not to the same extent that you have. I was a big doer before and for the last 3 years haven’t really been able to do anything. It’s so lovely to read that this has helped you and given me determination to restart my carb free way of living which is what I used to do just because I liked it. I just have to get through the initial days of detox from the carb addiction. Many thanks for your post!!! Best of luck. Hi John, Thanks for stopping by. The first few days of low carb are hard, but it’s so worth it once the body fat adapts properly. I hope you will also experience some improvement with Keto. I was so sceptical of this high fat way of life for years, but I’m a firm believer now! Please do keep in touch if you try it – I’d love to know how you get on. Hi Nick, Thank you for stopping by. How long have you been on this new diet? It really does get worse before it gets better. I am still on the ketogenic diet. I initially was dairy free too, but only for the first 2 months I think. After that I continued with dairy. I am doing okay, still housebound but more active and much less pain than I had on a higher carb diet so I stick to it! I haven’t had much more improvement from continuing on the diet, but I do get drastic deterioration if I move from it, so I will keep at it and keep trying other things over and above the keto diet to see if I can improve any more. It’s a long, slow process, isn’t it?